Explanation: What's happened to Mars? In 2001, Mars underwent a tremendous planet-wide dust storm -- one of the largest ever recorded from Earth. To show the extent, these two Hubble Space Telescope storm watch images from late June and early September (2001) offer dramatically contrasting views of the martian surface. At left, the onset of smaller "seed" storms can be seen near the Hellas basin (lower right edge of Mars) and the northern polar cap. A similar surface view at right, taken over two months later, shows the fully developed extent of the obscuring global storm. Although this storm eventually waned, in recent days a new large dust storm has been taking hold of the red planet. Wasn't it in 2001 that Mars was especially close to the Earth? And lots and lots of amateurs were looking forward to the opportunity of taking sharp images of the Martian surface features? And then everything was just blotted out by the planet-wide dust storm? If this ringside view of a global Martian dust storm didn't take place in 2001, then it must have happened at one of those other times when Mars was especially close to the Earth. So let's hope that the current dust storm doesn't block the view of the surface of Mars for this year's observers! Because it's true that Mars will be quite close and bright this summer and fall, isn't it? Mars will be at opposition on Fri, 27 Jul 2018 at 05:07 UTC. 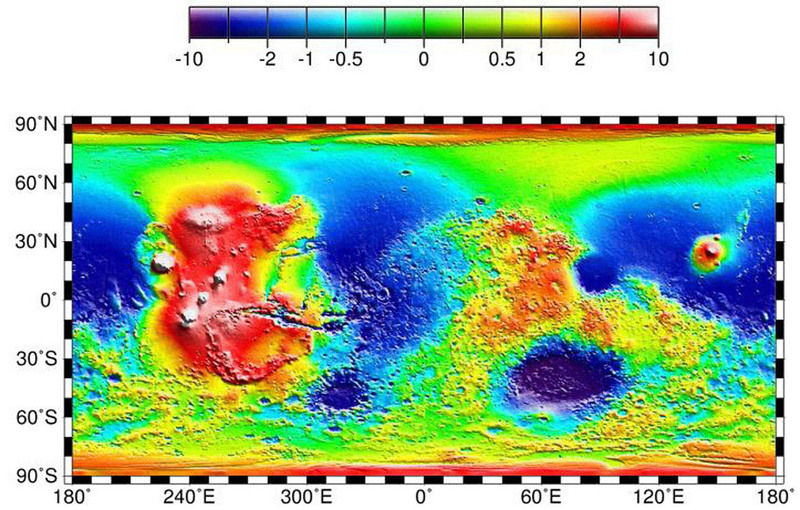 You're probably thinking of 2003, when Mars was at its closest for 60,000 years. No dust storm that year and plenty of spectacular images. This year is its closest approach since then. Missed seeing Mars Close Approach in 2018? Not to worry! 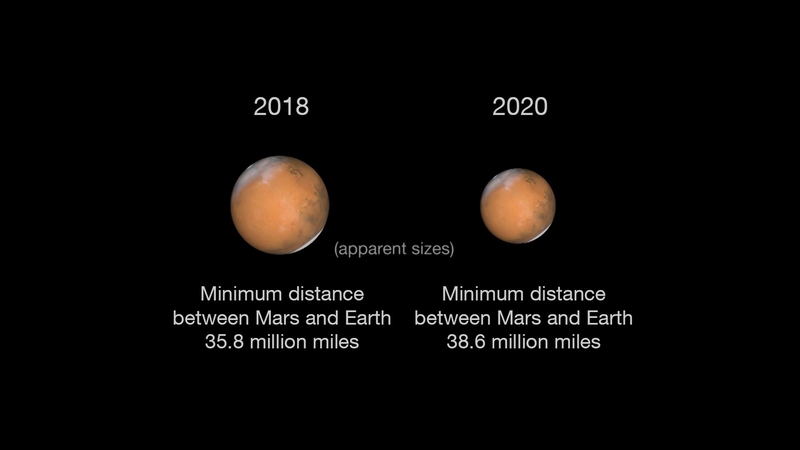 The next Mars Close Approach is Oct. 6, 2020, when the Red Planet will be only 38.6 million miles (62.07 million kilometers) from Earth. Every ~16 years Earth has ~3 opportunities (over ~4.27 years) to pass by Mars when it is near perihelion; however, there is a good chance that one of those close passes will occur during a Martian dust storm. 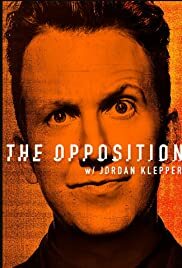 I remember that opposition. That was the year that Mars was as big in the sky as the Moon! That's funny. It seems like I just saw that claim made.... maybe ambiguous sarcasm keeps that meme alive? Last edited by neufer on Mon Jun 18, 2018 2:07 am, edited 1 time in total. Explanation: The onset of smaller "seed" storms can be seen near the Hellas basin (lower right edge of Mars) and the northern polar cap. A similar surface view at right, taken over two months later, shows the fully developed extent of the obscuring global storm. Although this storm eventually waned, in recent days a new large dust storm has been taking hold of the red planet. Lighting up the globe from inside is not too hard for these companies, they do it with Earth globes, but I did not see that any of them have done this with a Mars globe, so you could be the first! Although this storm eventually waned, in recent days a new large dust storm has been taking hold of the red planet. This is why Elon Musk is so motivated to get to Mars ... he wants to help them overcome their massive air pollution problems. Yeah, but that's just a static globe. I think he's looking for one that has an active surface which displays the current conditions. Digital spheres are readily available these days, and are not very difficult or expensive to make, and there's a wealth of digital content available to project on them, most of it free. So the only limitation I know of in producing such a globe is the rate at which full imagery of the martian surface is updated. Ah. I have never seen anything like this. There's Pufferfish as an example https://www.youtube.com/watch?v=v2Eh44Rp4_Q . So this with Mars weather data would be what zendae1 is talking about.